Jumanji: Welcome To The Jungle Trailer Breakdown | Nerd Much? “The footage begins with four high schoolers in detention. Their teacher orders them to clean out the basement of the school, and they find an old video game console, which features the game Jumanji. You pick a character, and as the teens learn you are that person in the game … which transports you to a jungle. 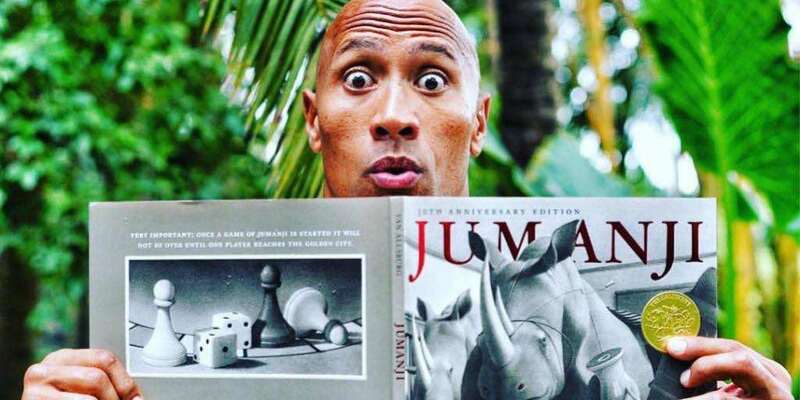 According to The Hollywood Reporter, the film will be changed from the original Jumanji staring Robin Williams. Instead of a board game, it will be a video game that the protagonists are stuck in, but it will still be a “big” and “global” homage to the 1995 version. The film will be staring Dwayne Johnson as Dr. Smolder Bravestone, Karen Gillan as Ruby Roundhouse, Rhys Darby, Missi Pyle as Coach Webb, Jack Black as Professor Shelly Oberon, and Kevin Hart as Moose Finbar. The film is directed by Jake Kasdan, best known for producing work on Walk Hard: The Dewey Cox Story. 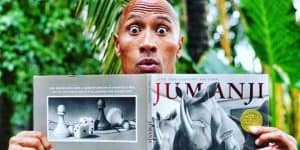 Jumanji will be released to theatres on December 22nd of this year. Judging by this trailer breakdown, do you think this reboot will be a hit or a flop? Let us know in the comments below!